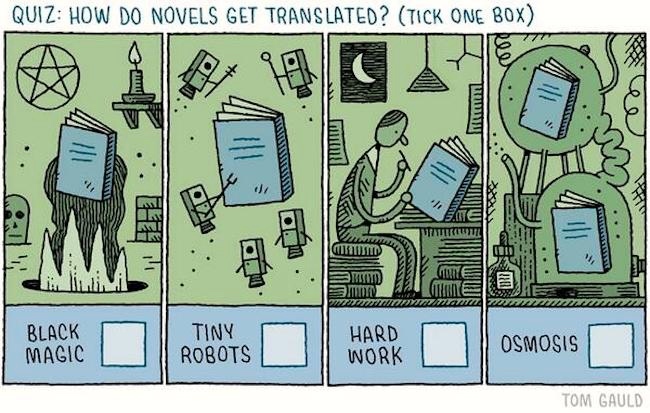 More from the cartoonist of the bookish class, passed on by Facebook friends: on translation, and on book formats. Black magic and the mechnical raven. 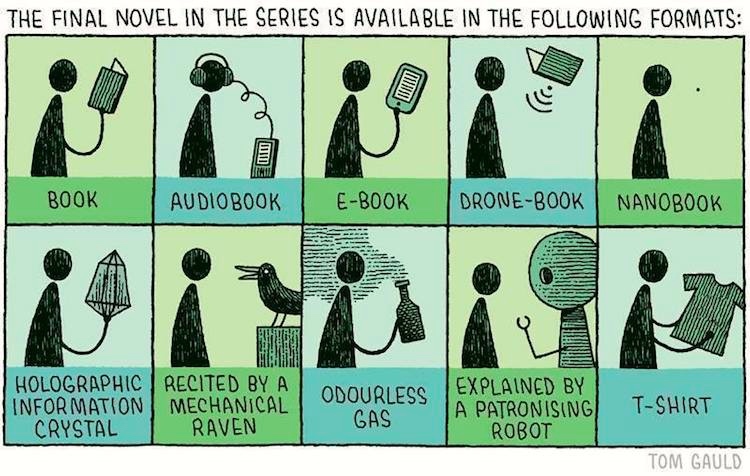 There is, in fact, a common thread to these two cartoons: the publisher. Once you, the author, have signed on with a publisher, your book becomes a product in the publisher’s hands, and lots of decisions will be made by them (perhaps with some consultation with you, but there’s no guarantee they’ll take your advice): the title of the book, its cover, the formats it’s published in, the publicity campaign for it, the countries it will be marketed in, the languages it will be translated into (and who will do the translations), and more. This can be disconcerting. This entry was posted on September 20, 2018 at 8:11 am and is filed under Books, Linguistics in the comics, Translation. You can follow any responses to this entry through the RSS 2.0 feed. You can leave a response, or trackback from your own site.